There are so many blogs and news articles online that talk about the origins of Couples for Christ. And it sounds like a drama played over many, many years. You get to read so many names, from different places and organizations. But rarely do you hear from the people who were actually there. God heard me. In January 1981, Tony Ganal, a friend of mine, came over. I was already in the charismatic renewal but we were all “desperate housewives”. There were around 15 of us who went to regular prayer meetings every Wednesday and all of us were praying for our husbands. Tony said “Gerry, why don’t you bring Frank to the Life in the Spirit seminar?” I replied, “I can’t because he doesn’t listen to me.” But you know, my feminine genius suddenly kicked into gear. I told Tony “Let’s make it a party. I’m sure Frank will go if it’s dinner.” And so he did. I remember telling Tony to make sure that there would be other men there or else I’m dead. And so when we went to that dinner, we were around 16 couples. And I guess Frank was surprised when a Jesuit priest, Fr. Herb Schneider, began giving a talk. I vividly remember that Fr. Schneider wore checkered pants. A Jesuit priest wearing checkered pants, can you believe that? I also remember thinking that this would probably be the last time Frank would attend. So I was surprised when the leaders there asked who among the group would like to return for the next talk and I saw Frank’s hand was raised! That started our walk with the Lord as a couple. Every week we would be there and it wasn’t all exciting. You are all aware that some of us were fast asleep at some of the talks during our own Christian Life Programs (CLPs) [now called Christian Life Seminar or CLS]. And this is how I know that it is really the Holy Spirit who works in us and allows us to finish what He starts in us. 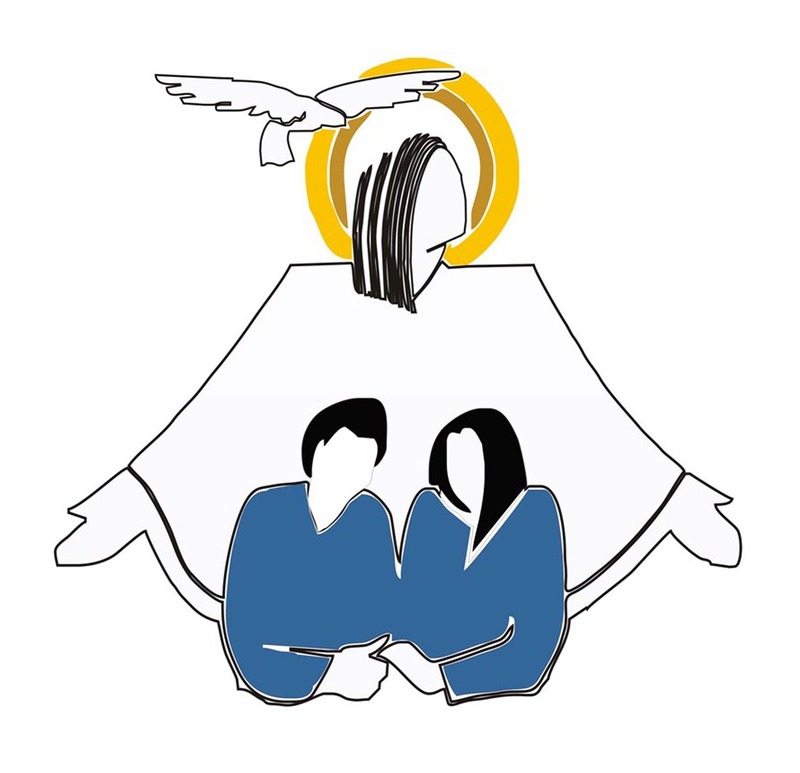 It is really the Holy Spirit who, first, brings in the couple, second, allows them to remain in the program for the whole 13 weeks [now 9 weeks], and third, allows them to stay as members of CFC for years and years. So after a few weeks of attending that first LSS in 1981, we continued meeting weekly, and further talks were given. And sometime in June of that year, some of us said, why don’t we call ourselves something? Nobody had any particular name at that time. I can’t remember now who said it, but since we were all couples and we were all there for Christ, why not call ourselves Couples for Christ? There wasn’t any magic attached to that name then, but we liked it and so that was what we called our group. To my amazement, it was Frank who began to really be passionate about our involvement in CFC. I, who was desperately praying for him earlier, could only stand in awe at how changed he was. I remember one particular day after we had already been attending the regular weekly meetings. We were late for one weekly meeting because I had to feed him at home, and Frank got upset. So he said, “next time I don’t want to be late for a household meeting, I’d rather not eat than be late for a household meeting.” And that’s why he’s thin. So in the beginning, CFC was only for couples. The rest of the family would come later. But the Spirit was so wise in allowing us to begin with couples because usually for a couple, the husband would be very quiet and the wife would be very talkative. So what CFC did for couples (really we women decided, which is very smart of us) was to allow our men to shine. That’s why in the beginning only the men were giving talks. I remember when Frank gave his very first talk on “Who is Jesus Christ?” he wrote his talk and memorized it. I was sitting at the back and I had his talk with me, and to my amazement, he really said it word for word! He was so nervous but he gave a beautiful talk because he prepared for the talk, he learned who Jesus Christ is in his life. Both of us continue to learn this. Who were those first 16 couples? And, 30 years after, where are they now? Thanks to Facebook, the internet and a lot of common friends – we were able to track them down all over the world. Frank is the Servant General of Couples for Christ Foundation for Family and Life. Gerry is active in pro-life circles around the country. They are active in global evangelization work, are members of the Pontifical Council for the Family, and reside in Antipolo, Philippines. They now have 5 children and are going to have their 5th grandchild in 2011. Ramon is an entrepreneur (Browhaus and The Strip) in New York. 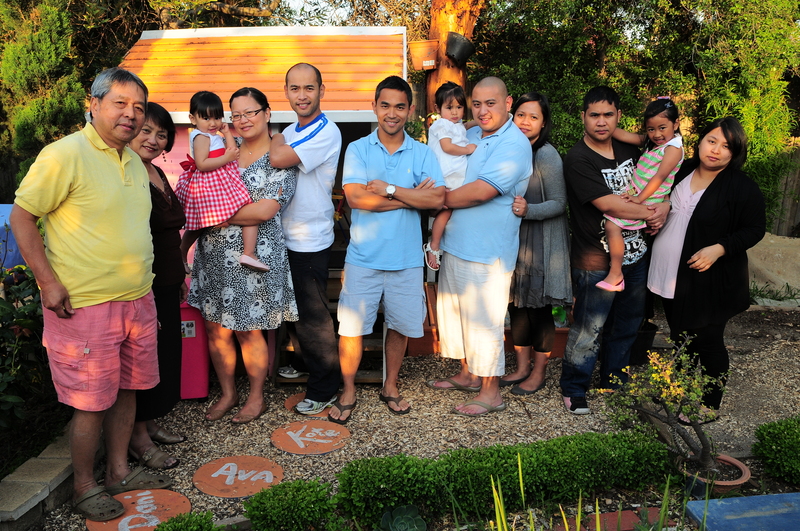 Xavy is a missionary and is married to Des with 2 (going on 3) kids – Sabine and Aida. Vania, a mompreneur, is married to Santi with 2 kids – Santino and Bella. Lil (also an entrepreneur) and Josh (a student) are in Manila. When CFC started, they were raising a family. All 4 of their children have now married and have left home. They are now grandparents to 3 beautiful girls – with a 4th granddaughter to be born in January. All their children were raised in the CFC environment. They now reached retirement age. Romy has retired from work while Irene is planning to retire soon. They both love to travel overseas. During these travels, they visit CFC communities in various US cities, Canada, France, England, and most recently, Spain. They are now devoted grandparents. Pete lives in Garland, Texas with his children Audy and Aurie. Pete continues to be an elder, and attends, community meetings with Families for Christ in Dallas – a community where his family is very involved in. Fely has since passed away. 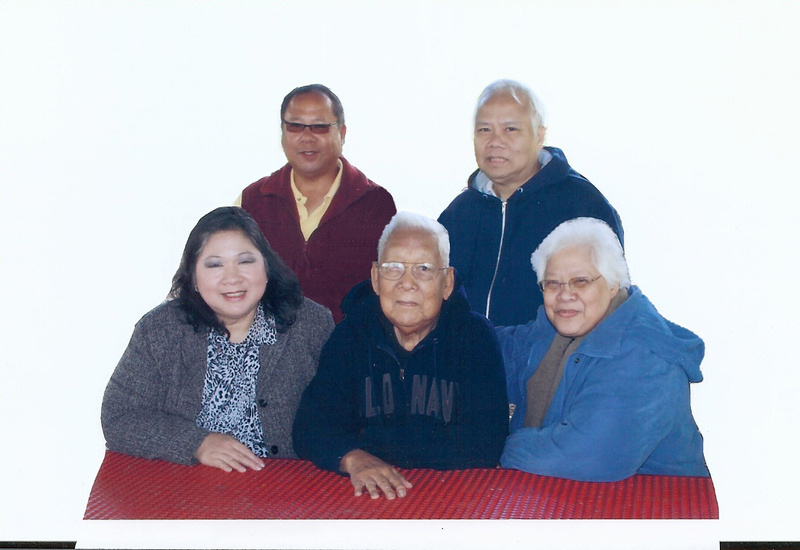 Picture below is of: (From left front) Ady Cambel (4th child); Pete Cambel; Celia Solis (Eldest – now deceased). (From left top) Armand Cambel (5th); Aureo Cambel (3rd). 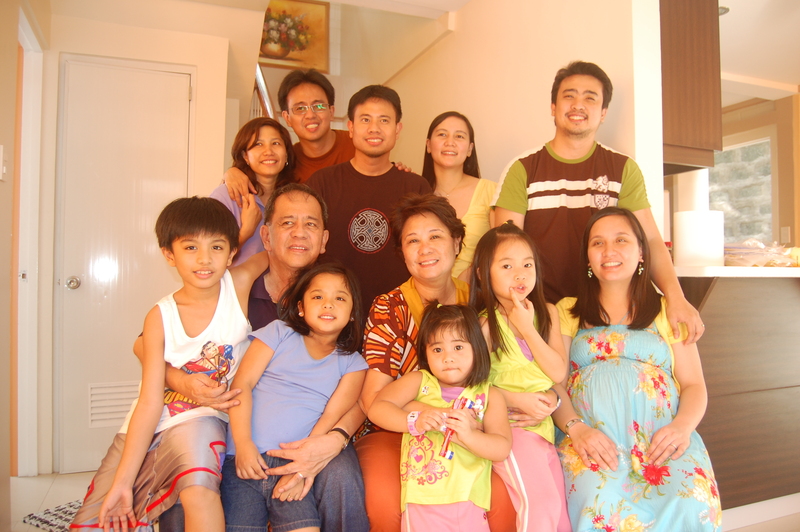 Not in picture are Fely Cambel and Brenda de Guzman (2nd) [who was married to Larry de Guzman (also part of the first 16 couples)]. Tony is a member of Couples for Christ Foundation for Family and Life – and is a leader in the ministry of Servants for Family and Life, especially in Novaliches. 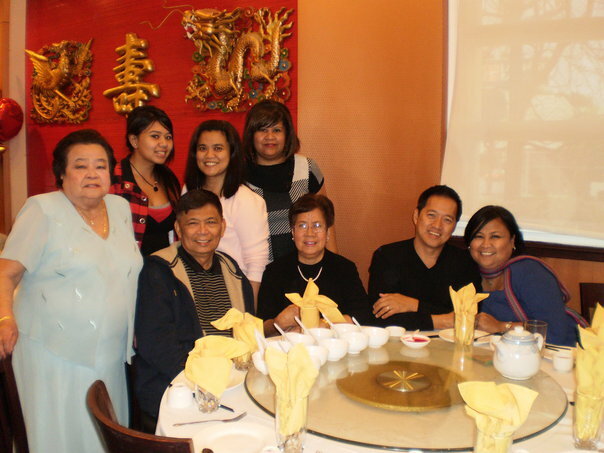 Below is a picture of their family with tita Cora. 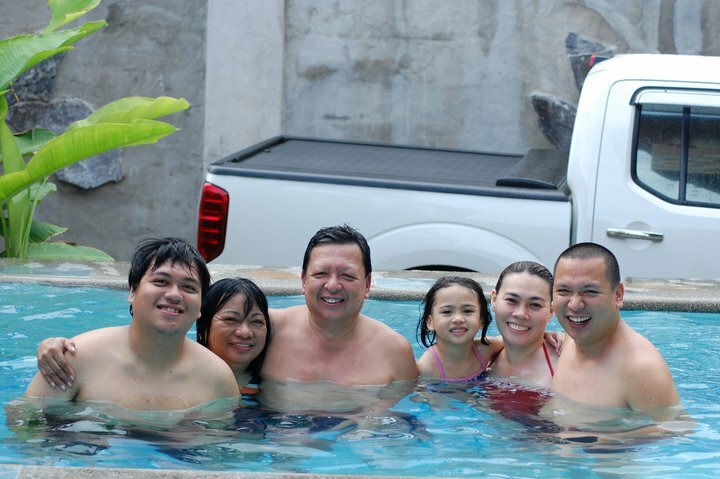 Tony and Cora, their two (2) children Eric (with his wife Joy) and Emmie (with her husband William Cortez). Inspired by their involvement in CFC since 1981, their two children both joined CFC immediately after they got married. They got involved to the Community until they were given household and unit for their service. Cora joined the Lord on February 27, 1997. 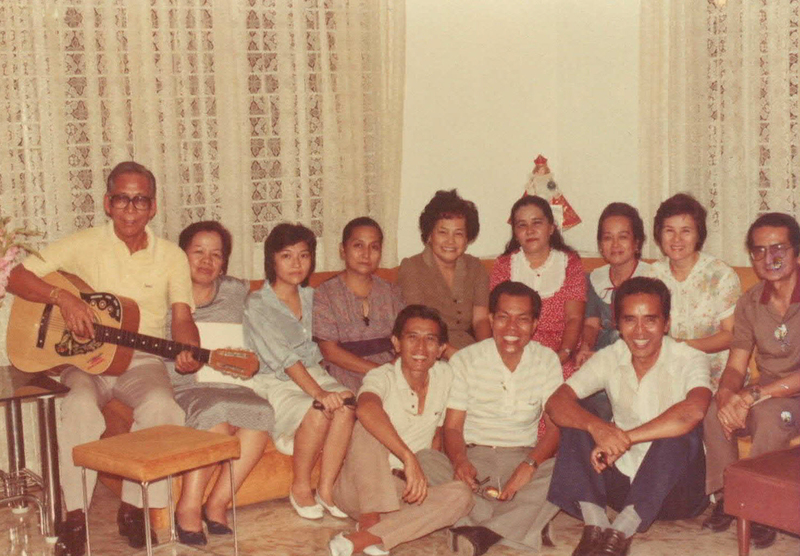 The photo below (from Tony) shows household meeting of their group in their house in 1981. 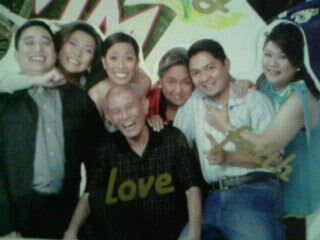 This is just one of the first four (4) household groups that composed the first 16 couples of CFC. Front Row L to R: Tito Collantes, Tony Espiritu, and Manny Gaddi (Household Head, then). Second Row: Pete Cambel, Fely Cambel (+), Baby Collantes, Tuding Collantes, Shirley Borja (+), Cora Espiritu (+), Remy de Guzman (+), Josie Gaddi, and Chito Borja (+). From 2005 to the present, Danny is pastoring Christ’s Commission Fellowship (CCF) Marikina with an average of 365 worshippers. Eggie is full time Pastor’s wife, helping in his ministry work. Prior to 2005 he pastored several pastors in another church. 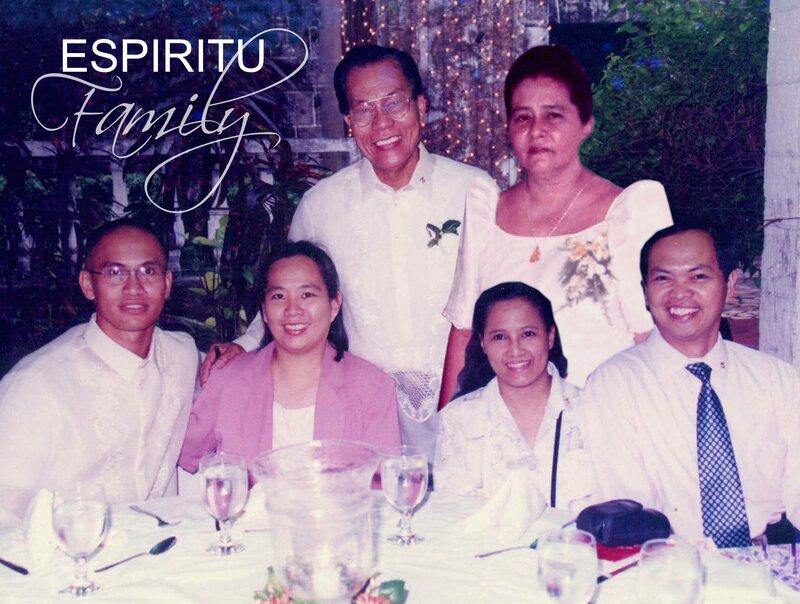 From CFC years, they continued to minister to couples and families together with our family. They have 3 sons who are now married and have 5 grandchildren. Richard is married to Odelyn – a full time housewife attending to their two children – JR and Jasmine Ruth. Richard is with Nestle Philippines as Asst. Manager, IT Support Group. Francis, who is with Emerson Process Management as a Technical Specialist, is married to Maribeth – a full time housewife with 2 children – Mikayla and Nicole. Vincent is married to Charmaine with a son – Caleb. Vincent is Courseware and multimedia developer for IBM Business Services. Both Larry and Brenda have since passed away. Manny and Ditas are member of CFC Global Mission Foundation, wherein Manny is a member of the International Council. They have four children. 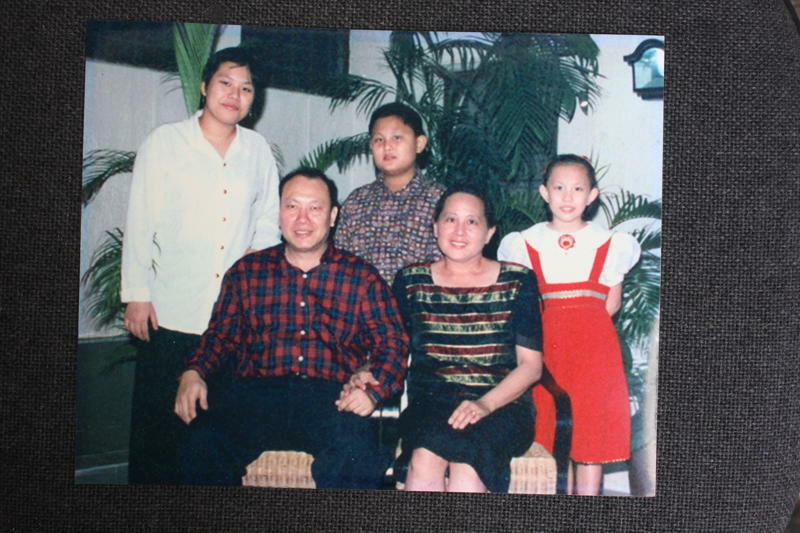 Jimmy and Malou, and their family, went on mission to China from 1990 to 1994. Jimmy is currently a licensed architect and a pastoral counselor with a MA in Pastoral Ministry in Family and Counseling. He also is a Candidate for a Ph.D in Developmental Psychology: Major in Family & Child. Malou is a licensed interior designer, a pastoral counselor and a Board Member of the Council of Interior Design Educators. She is a professor at the College of Fine Arts and Design, U.S.T; and has a MA in Guidance and Counseling. They have three children: Stephanie Joyce who is married and with an MA in Architecture, Germany. 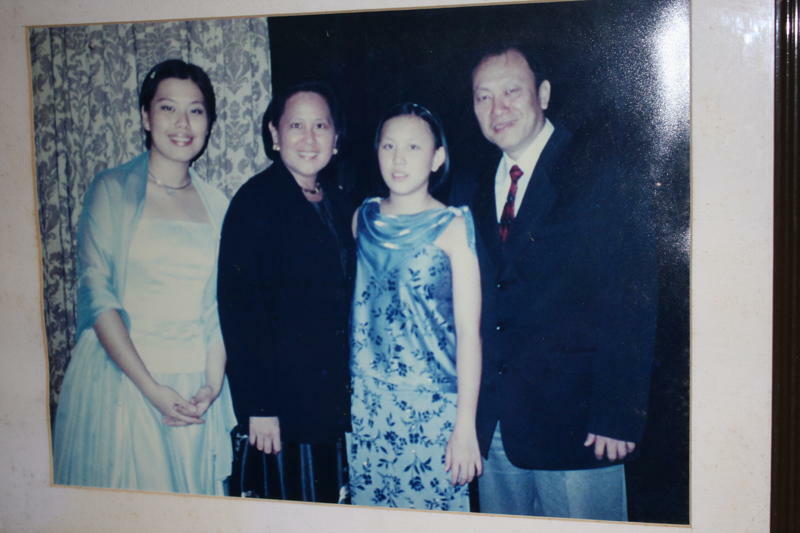 She is teaching at De La Salle University-St. Benilde. James Emmanuel passed away at 12 years old. Elizabeth Ruth finished Advertising Management at De La Salle University and now works at Associated Advertising, Hyderabad, India. 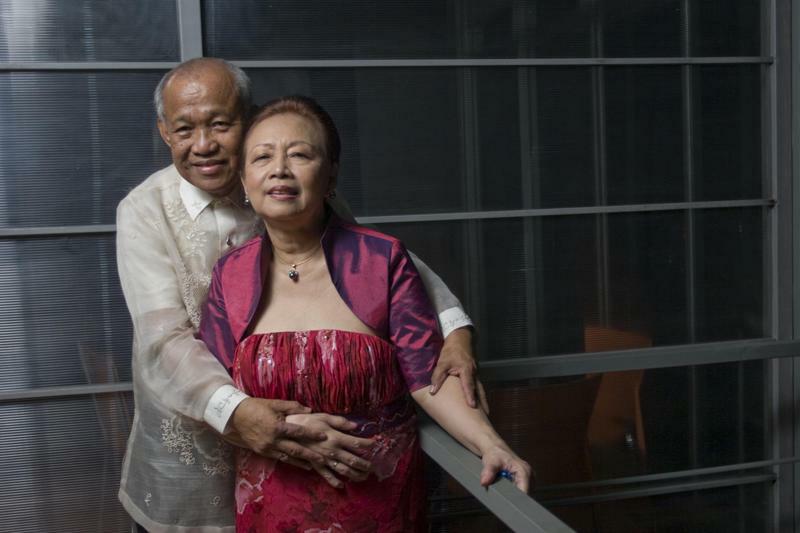 Jojo took an early retirement from his corporate job at 3M Philippines at the age of 55 to go on fulltime mission work for Familia, an outreach of the Ligaya ng Panginoon Community. He did active mission work until he had a stroke in 2003 which forced him to stop traveling. Their eldest daughter Tricia is baking full time and operates Pink Sugar Classic Desserts which specializes in Dessert Buffets. Their youngest son Kokoy is currently a Vice President and Mancom Member of both First Gen and Energy Development Company (EDC). 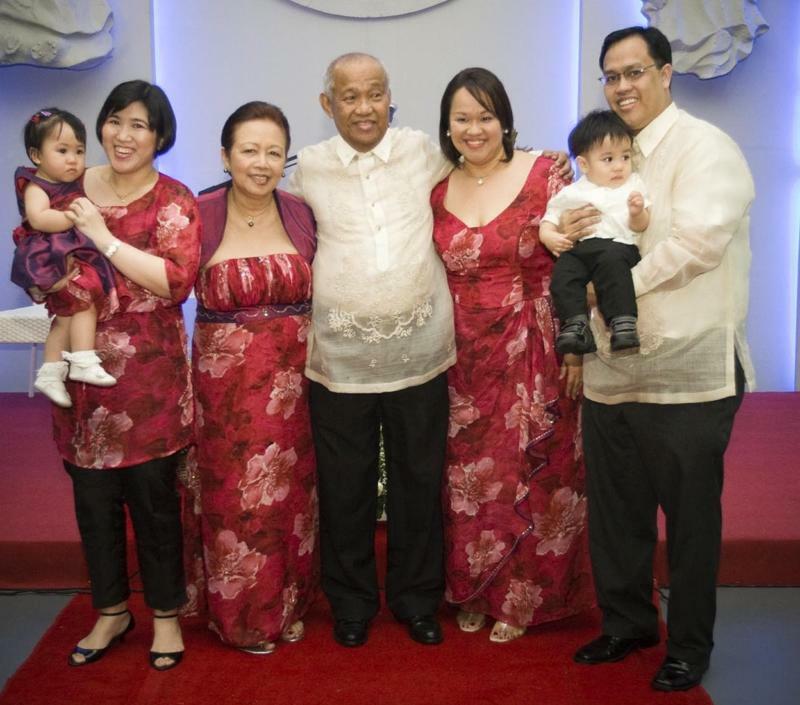 Kokoy is married to Rica and have 3 year old twins – Nino and Gaita. Jojo and Hedy together with their daughter Tricia remain active members of the Ang Ligaya ng Panginoon Community. 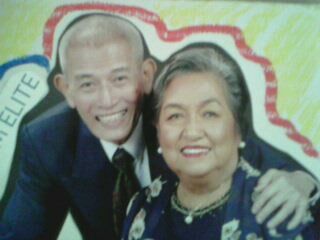 Tito and Tuding are active members of Bo Sanchez’ Light of Jesus community. Tito is now 75 and Tuding is 77. They just celebrated their birthday last Nov. 16 and 15 respectively. Tito is a Lay Minister and Tuding is an Usherrette. Tito is also an extrordinary minister in St. Jude Thadeus parish. They are now living in Las Pinas. Unstoppable still as you could imagine. 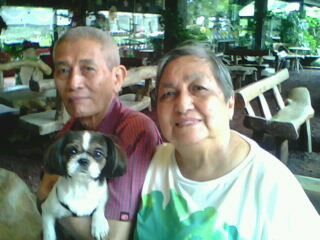 Both Chito and Shirley have since passed away. Jun and Auring are now based in California. They are part of a Charismatic Prayer Group in Artesia/Cerritos. They also have a group called The Lord’s vineyard. 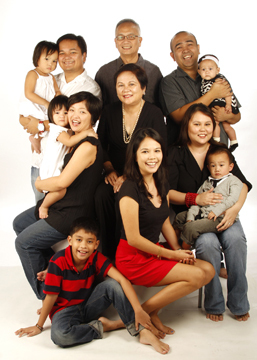 Monching and Baby are members of Ligaya ng Panginoon, and are based in Washington state in the USA. They actually clarify that they were not members of Couples for Christ (though in history books, they will be remembered as part of the first 16 couples). Danny and Tess are now based in the Toronto, Canada. And are still members of Ligaya ng Panginoon. And as of press time we are waiting for pictures from them. Next Welcome 2011! What’s on my To Do list? straight from the horse’s mouth! beautiful piece, thanks. There was no mention as to who or what group was giving the LSS. FYI it is Ligaya ng Panginoon Community, which I believe all 16 couples know about. GRABE! I guess when you keep repeating a lie, people think it is the truth. Thankfully, God knows the truth and Frank Padilla will have to answer to Him for deceiving so many people. Hi Jojo, I see you are back online trolling the blogs to make comments like these. It is unfortunate that there are people like you who continue to promote ill feelings and lies at the expense of others. We, on the other hand, continue to pray for you and hope that you choose to be more Christian in your dealings with others. Hi Jojo, no is being force fed anything. Everyone is able to make their own decisions. And now, both CFC FFL and CFC Global have been working together in many events. Peaceful coexistence. We are together and have only one enemy – the devil. Hopefully one day you can join us, instead of continuing to be negative and promoting discontent. Hi Jojo, what is your version of the truth. Let us know. 1. There is no Couples For Christ Foundation for Family and Life. Frank Padilla only invented that in 2007. 2. There has never been a “Servant General” in CFC. Frank Padilla only invented that in 2007, which begs the question is he really that power-hungry that he had to invent a title for himself? 3. In relation to the above, CFC for the most part of its history prior to 2007, has always been governed by the International Council that is elected by an Elders Assembly. Frank Padilla was even part of that International Council at some point. Where is that now in FFL? 4. The Christian Life Program (CLP) has always been called as such. Frank Padilla only invented the CLS in 2007. Why? Please ask him, because the contents are basically the same. Or if he has already changed them, why did he have to change them? 5. Why the change also in the names of all the ministries? For what purpose? To what end? Has there been a significant change in what these ministries represent? 6. How can FFL still claim to be CFC when it does not even abide by the CFC Statutes that was put in place to govern CFC? Wasn’t Frank Padilla even part of those that formulated this statute that he now despises? I’m pretty sure you already know that this is the truth. Yet, for you and other FFL members to still continue to believe Frank Padilla’s lies and even perpetuate his lies … is really beyond logic and any sense of morality. Being a so-called Christian, being one of the first members of Couples For Christ, being a respected leader of a global Christian community, it is Frank Padilla’s obligation to be truthful. It answers your questions, and shows the truth. 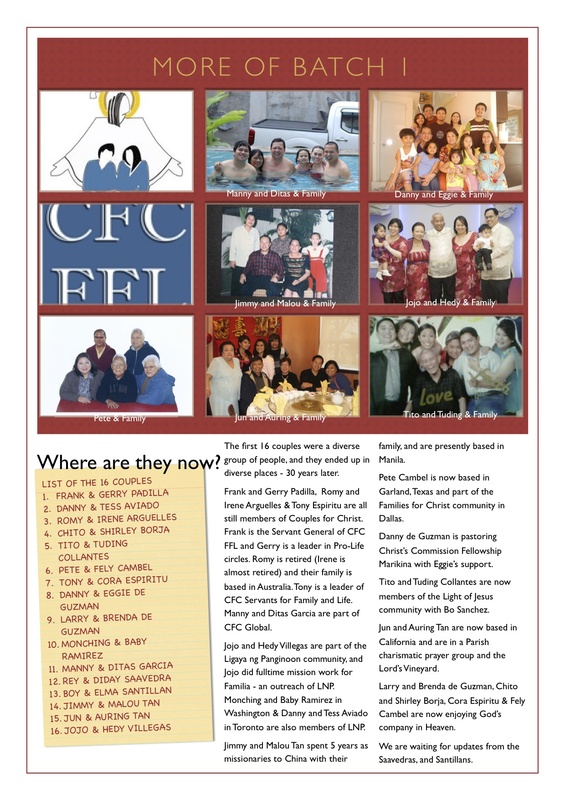 CFC was started in 1981 through the initiative of the Ang Ligaya ng Panginoon Community (LNP). In January 1981, LNP gathered 16 couples who went through a Life in the Spirit Seminar, with the intent of bringing them into LNP. But instead they were kept together for a few months after the LSS, until it was decided that a new group would be established to emphasize family life renewal. It would be an outreach of LNP. 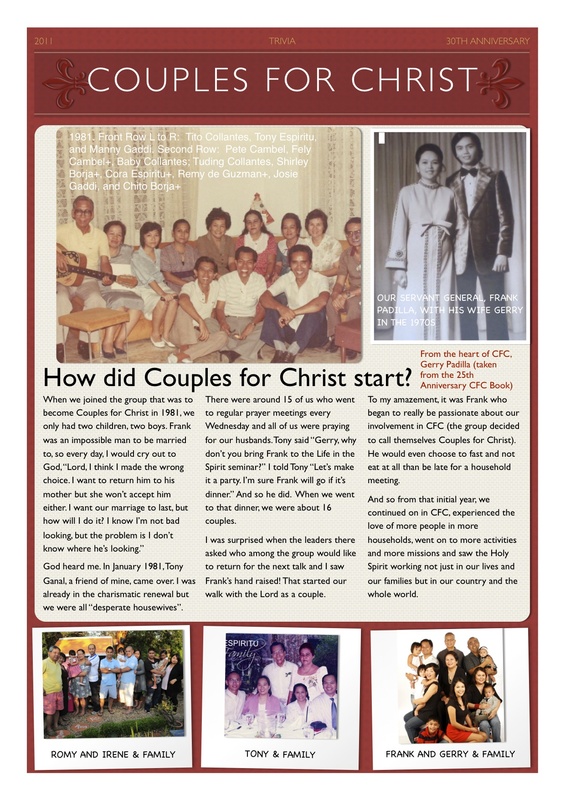 In June of 1981, Couples for Christ (CFC) was born, with the 16 couples as members. 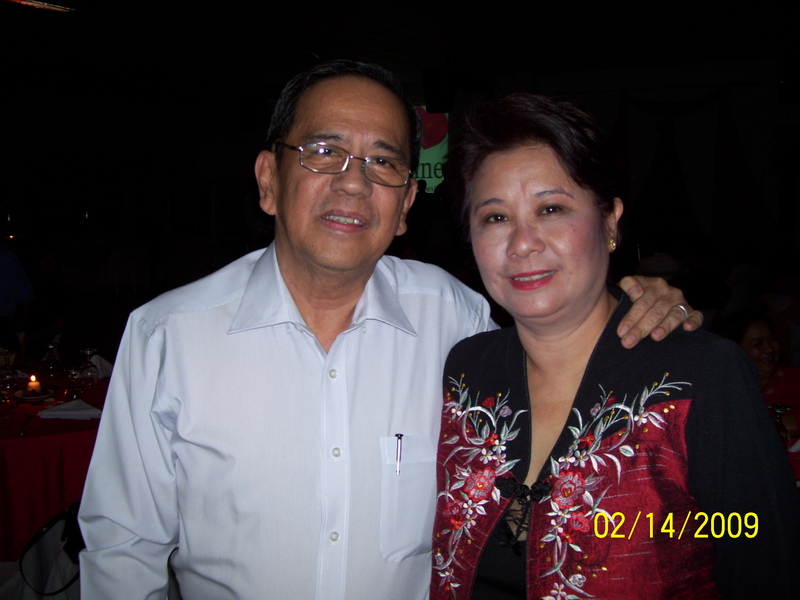 Frank and Gerry Padilla were among the 16. Frank had never claimed that he was the founder of CFC. In the midst of many bishops, including Cardinal Sin, saying through the years that he was the founder, Frank kept saying he was not. A number of times he even put it in writing to the CFC membership. He did not want to be called founder. Well, Frank was wrong. He did not understand then, as many do not understand now, the meaning of being founder. The meaning of founder is taken in the Church context of ecclesial movements, which the Holy Spirit raises from time to time throughout the history of the Church. Who is considered the founder of a lay association? There are 3 prerequisites. One, historical, that is, he was there from the beginning, having been called by God. Two, canonical, that is, he put together the constitution (statutes) or way of life of the association. Three, charismatic, that is, he embodies the whole vision and mission of the association, and incarnates the spirit of what the association is and has been called to do. He translates the charism into a particular way of life. Frank was there from the very start in 1981. He was there as part of a small group of leaders when CFC had its very first formal planning session in 1982, which came up with the statements of vision, mission and philosophy. He quickly emerged to be a top leader, and in 1985 was already the Executive Director, running the day-to-day work of the whole CFC. In 1986 he went fulltime for CFC. He was brought into the LNP in 1982 and quickly rose through the ranks, becoming Coordinator (Coordinators were the top leaders of the community) in 1987. In 1993, there was a split, by mutual agreement, between the parent LNP and the child CFC. This was due to basic fundamental differences in vision. LNP wanted CFC to just be one of its outreaches focusing on married couples, not to expand too much or too widely, not to do much of provincial or even foreign work. But the true calling of CFC was emerging, that of an evangelistic and missionary community, fostering rapid and massive growth, and ministering to every member of the family. LNP was inward-looking while CFC was outward-looking. LNP wanted restricted growth while CFC was moving into rapid and massive evangelization. LNP did not see CFC doing too much work outside the Philippines while CFC was gearing up to bring its work into all the countries of the world. So the very life and direction of CFC was the very threat seen by LNP to what it had envisioned. The separation was inevitable, if God was to be obeyed. Frank led CFC through this whole process. In 1996, Frank secured CBCP recognition for CFC. In 2000, Frank secured Vatican recognition for CFC. There are 3 significant phases in the life of CFC—1981, 1993, 2007. 1981 was the founding of CFC. 1993 was the re-founding of CFC. And 2007 was the restoration of CFC. 1993 was clearly a re-founding, since the direction of CFC was radically different from and diametrically opposed to the direction its parent LNP wanted for it. In fact, it was this difference that caused the separation. Hence, with regards to CFC’s re-founding, it is clear that Frank is the founder. He was the overall leader of CFC, he was the one who had a clear vision of what the Lord wanted and he led in pushing for that vision, he was the rallying force in getting the overwhelming majority of CFC members to remain with him in the re-founded CFC. But how about 1981? The normal secular thinking is that the founder is the one who started the group. And that of course is LNP. But remember that we are talking about God’s work, and it is God who has His plan and intent for any authentic movement that He raises. God intended CFC to be what it became, and not what LNP wanted it to become. So more importantly, transcending human time and dimension, the relevant questions are: what was God’s intent for CFC, what was His plan, what did He ultimately intend to cause to happen, whom did He bring in at the very start to carry out His plan? And so would it not be true that God brought Frank into that small group that became CFC in 1981, precisely because He knew what He would cause to happen, and Frank would be the main actor in His plan? And God used Frank from that time on. Frank was at the core of the leadership that began to develop the thrusts and programs of CFC, even as he was not yet the overall leader. With this understanding, we can then accept that even for the very start, at the founding of CFC, God intended Frank to be the true founder. In truth, the re-founding in 1993 was only in relation to its being brought to what God intended it to be when it was founded in 1981. From the very beginning, God intended CFC to be what it became after the separation. There was no change in course. There was only the lack of understanding, on the part of LNP, as to what God had allowed to be founded in 1981. Thus the latter years before and right up to the separation were difficult, in that LNP was unwittingly preventing CFC from fully becoming what God intended. But what God intended never changed—from 1981, through 1993, and now in 2007 and beyond. Thus, CFC re-founded in 1993 was really the CFC God originally founded in 1981. Now the crisis came in 2007, and CFC split into two. Why? Because God will not be thwarted in His plan. And so as CFC veered away from its authentic calling, God allowed the crisis, and eventually the split. We can even say that God not just allowed but actually intended the crisis to happen (just as in 1993). God is going to accomplish His plan in spite of our blindness, ignorance and sin. Much has already been said about the crisis and so will not be repeated here. But Frank tried to renew CFC from within through his restoration movement, to restore CFC back to its authentic charism from which CFC had veered away. But the other side would not accept this, and eventually drove Frank away, after unjustly firing him from all his services. Seeing the very charism and vision and mission of CFC being destroyed, Frank started CFC-FFL. CFC-FFL is the true CFC, being true to its vision, mission and charism. CFC-FFL is the CFC that is led by the CFC founder. So the 2007 crisis in CFC was according to God’s plan, to bring CFC back to His original intent. Perhaps the crisis was also intended to bring Frank to an acceptance of the reality of being the founder of CFC, so that finally all the elements of God’s plan for CFC would be in place. The charism of a particular Church association is a gift given and entrusted to the founder. The charism is given to a particular person and not to a group of people. The charism is then shared by the founder with other people who decide that they have the same calling as that of the founder. It is the founder, to whom the charism is given, who is responsible to properly respond to the Spirit. Such responsibility cannot be delegated. The founder ensures that such charism is always rooted in Christ, otherwise it will be the charism itself that will divide the association. The founder interprets how the charism is lived out in the day-to-day life of the association. This is why the founder is also called the keeper of the charism. As such, the well-being and unity of the association, based on its particular charism, is dependent on the presence of the founder, for as long as he is living. God’s call to the founder is for life. Many bishops, such as Cardinal Vidal, Archbp Lagdameo (President of the CBCP), Bp Reyes (Chair of the Episcopal Commission on the Lay Apostolate and Spiritual Director of CFC), Bp Villegas, all accept Frank as the founder of CFC. When Frank visited the Holy See last September, Cardinal Rylko (President of the Pontifical Council for the Laity, which gave CFC its Vatican recognition) also affirmed Frank as founder. In humility and submission to God’s will, Frank now also accepts that he is the founder of CFC. My version of the truth is, that my life changed and it continues to change through the community. I believe thousands of people will say the same thing. I am still a sinner striving for holiness. I praise God for having Tito Frank as our Servant, because you are right, he is also a sinner like all of us; but he is an example of a man who never ceases to strive to go beyond his comfort zone in bringing other people to Christ. I believe in God-who is the God of mercy will forgive all our shortcomings and count all our efforts to do good and to bring people closer to Him. May Mama Mary on her birthday inspire us to be humble and peaceful. Pray and intercede for us in heaven. God bless. Unfortunately the comments of Jojo have become vulgar and unchristian and will not be posted on my blog anymore. Resorting to vulgarity? Tsk, tsk, tsk. Very unChristian. I guess it’s true what the Bible says.. From the fullness of the heart the mouth speaks. Now, I am even more affirmed that I discerned well. At least the people I am with, remain charitable and Christian towards others, inspite of their differences. Yes, amazing how he comes on my blog, calls me a liar and says he is being Christian. Let’s pray for him. I never thought talking with Bishop Gabby Reyes personally with regard to what really happened would be considered blind following. How about you? Were you there physically 8 years ago? Were you able to talk to 3 CFC international Council members personally, face to face? Who did you talk to 8 years ago? I feel sad about what i found out today. I searched for sfc logo for for our CLP flyers via google and found this cfc-ffl logo which looked very familiar to me. I remembered that it was the logo in the song book my parents used to bring during their household meetings. I hope and pray that one day, there will be one CFC, together in Christ will renew the face of the earth. God bless.